Seeing was quite good during the imaging sessions both east and west, with FWHM's ranging from 1.6-1.9". The result is an M57 that clearly displays the extended outer shell of emission nebulosity, while still showing a remarkable amount of detail within the core of the nebula. 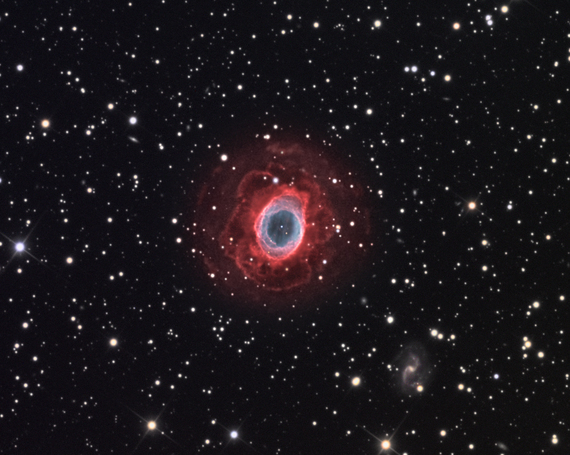 To see an earlier version of M57 which was taken as one of the first SSRO images a couple of years ago, click here.